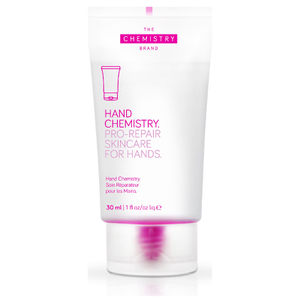 Say hello to younger looking hands with The Chemistry Brand Intense Youth Complex Hand Cream. Featuring a concentrated, multi-functional formula that simultaneously targets eight signs of hand ageing, the nourishing hand cream contains 19.5% active ingredients that work to improve firmness, smoothness and evenness to name but a few. Made with tremella fuciformis sporocarp, a biotechnological derivative of the mushroom which has shown to be 400 times more moisturising than hyaluronic acid, it also contains sacha inchi oil and maize propanediol which forms a protective barrier over your skin to ensure your hands retain moisture. 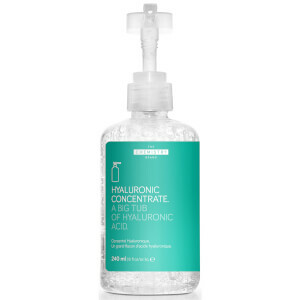 The inclusion of an algae ferment also allows your skin's moisture content to be increased by 11% in just 12 hours. Your skin will be left looking visibly younger in as little as 11 days. - L.M. water (aqua), propanediol, caprylic/capric triglyceride, cetearyl alcohol, cetearyl glucoside, cyclopentasiloxane, cetyl alcohol, glycerin, tremella fuciformis sporocarp extract, cellulose, pseudoalteromonas ferment extract, calendula officinalis flower extract, alanine, proline, serine, tocopherol, glycine soja oil, dimethicone/vinyl dimethicone crosspolymer, sodium polyacrylate, menthol, betaine, xanthan gum, caprylyl glycol, potassium sorbate, acrylates/c12-22 alkyl methacrylate copolymer, ethyl menthane carboxamide, hydroxypropylcellulose, menthyl lactate, propylene glycol, methyl diisopropyl propionamide, ethylhexylglycerin, sodium phosphate, sodium hydroxide, chlorphenesin phenoxyethanol, fragrance (parfum), citral, coumarin, geraniol, limonene, linalool. Having tried just about every hand cream on the market, this is by far the best I have found. I have several brown spots (age spots, liver spots whatever name you want to give them) on my hands, and my hands are always dry. This cream has reduced the look of the spots noticeably after using it religiously night and day for 10 days. I have been worried about my hands for quite some time and used all different hand creams and oils, but none made any difference. I cant get rid of the blue vein lines, but the other problems like the look of the skin, old and sad looking, Hand Chemistry worked. I bought my next tube 5 days later as there was such a difference. Recommend!! I have been using many products from this company - hair ,face body and this hand cream is as impressive as all the rest .i work outdoors and this has definetly improved the condition and look of my hands. absorbs quickly , hands feel lovely and look much better . I love this hand cream, its not oily and makes your hands feel so soft and I do think I can notice a difference in my hands after using it frequently. I use it mostly at night while hopping into bed. This is such a great hand cream. It soaks in immediately, yet keeps your hands soft for ages. I'm really pleased with its smoothing effect on my skin. This works! After only a week, I have younger looking hands, seriously. I definately recommend this. I've only been using it for about 10 days but believe I can see an improvement in the condition of my wrinkly hands. It has a nice smell and is quite a large tube too. You know that feeling when you're really thirsty, then you drink a nice cold glass of water and all is well with the world again... Well that's the feeling I get when I use this hand cream. Quenched.